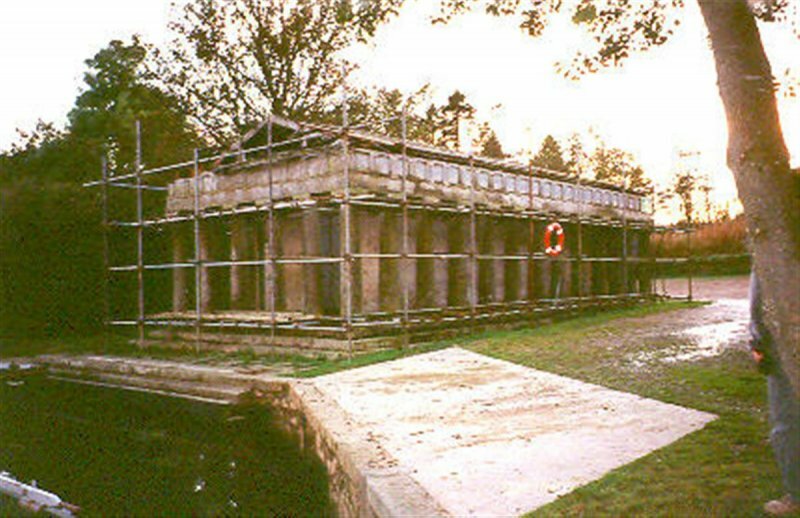 October 1992: External inspection reveals the temple to be in poor condition, though supported by scaffolding. October 1997: External inspection reveals no change. 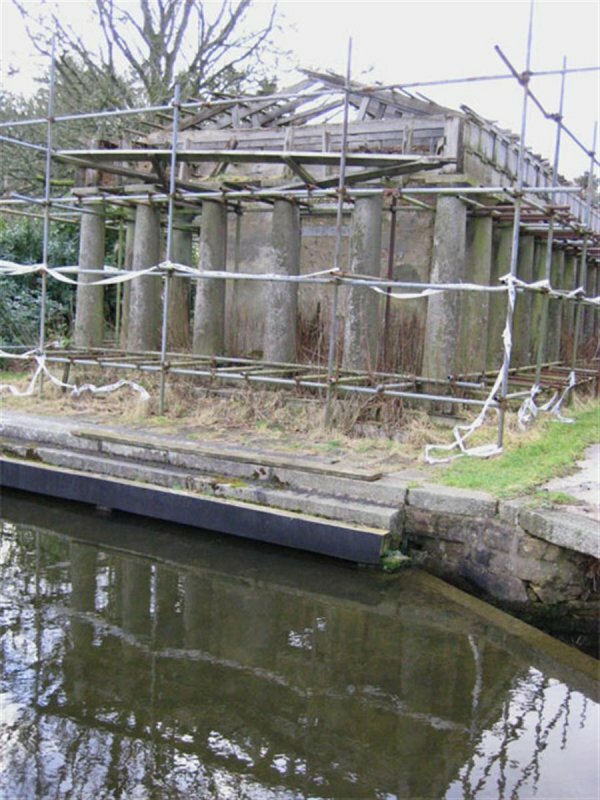 January 2004: Local planners report that a new owner has acquired part of the former Pitfour Estate and is keen to tackle this structure if funds are available. 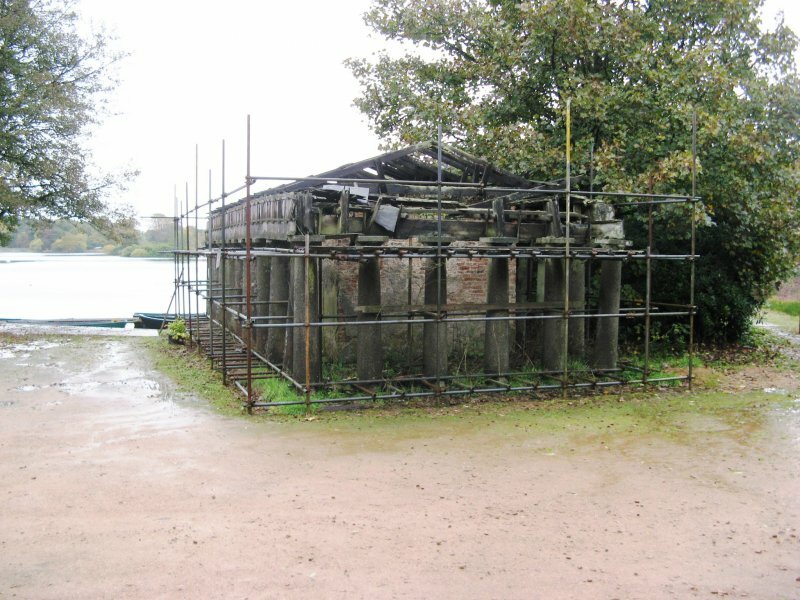 February 2008: External inspection finds the Temple in very poor condition with scaffolding erected to presumably provide structural support. 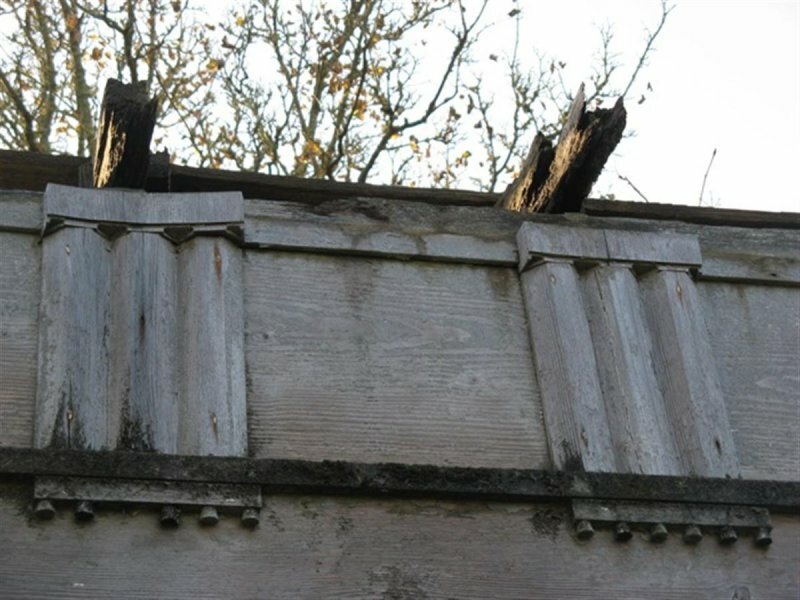 The wood entablature is unprotected and rotting. 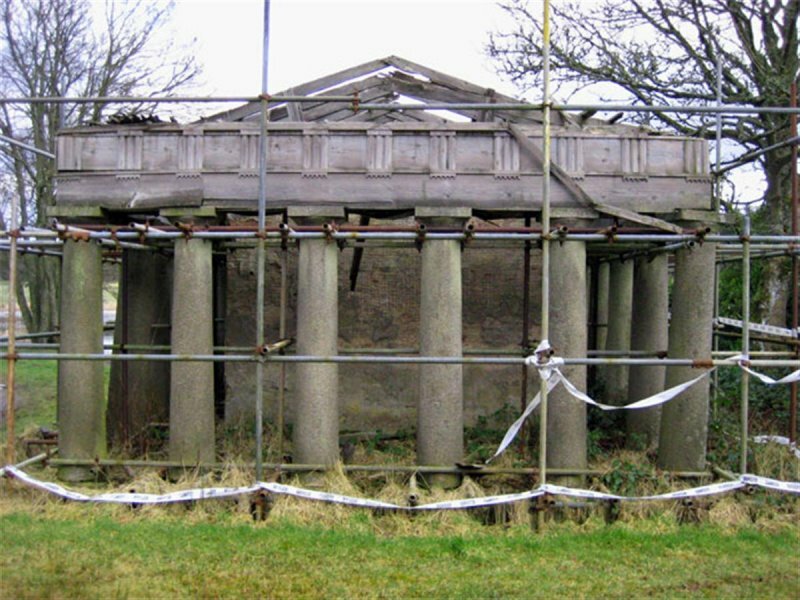 January 2009: The Fraserburgh Herald reports on plans submitted for a development on the site of Pitfour House (demolished in 1927) alongside a commitment to carry out restorative works on the Temple. The application is reported to have been refused at this time but is understood to be considered again with further detail on restorative works from the owners. 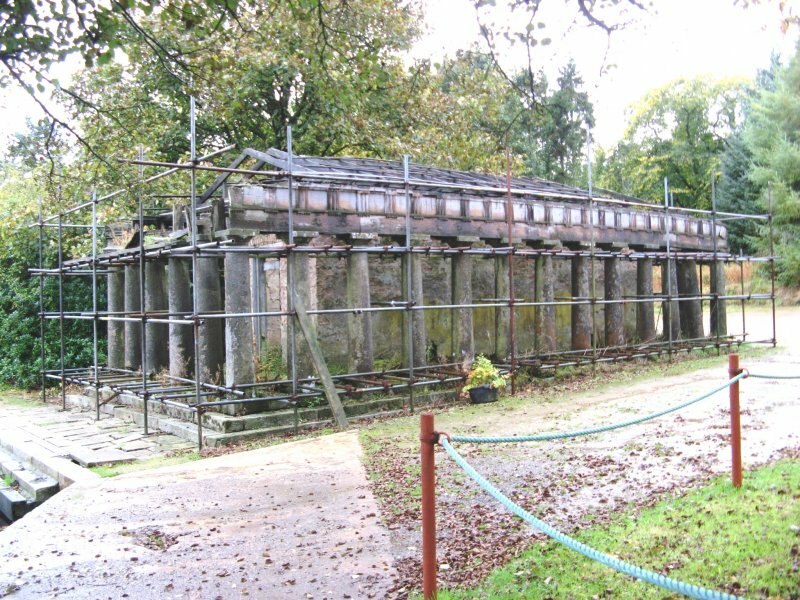 September 2010: Acanthus Architects Autumn newsletter reports on proposals being prepared for the restoration of the Temple, three bridges, follies and to explore opportunities in the landscape and its buildings. Masterplan and outline proposals for the site are to be complete early 2011. 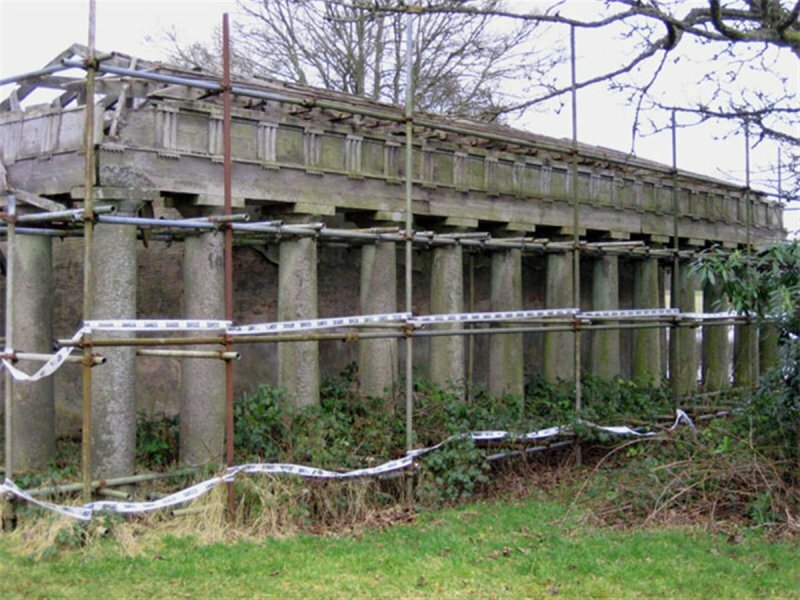 21 September 2012: Full Planning Permission for restoration of the Temple and three listed bridges within the estate was lodged April 2012 ref: APP/2011/4145/ 4146. 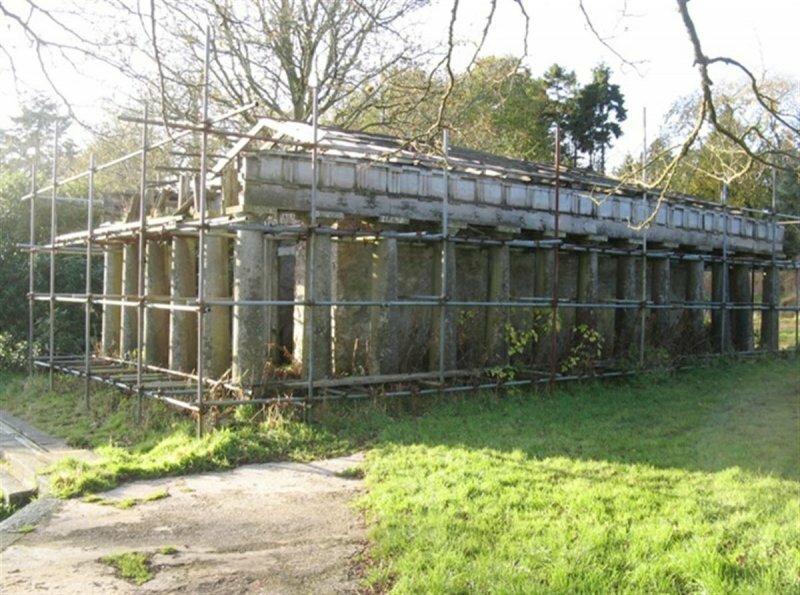 The application is seeking permission for the 9 new build plots within the landscape to cross fund the restoration of the listed buildings with the creation of new roads and footpaths to form an extension to Aden Country Park. 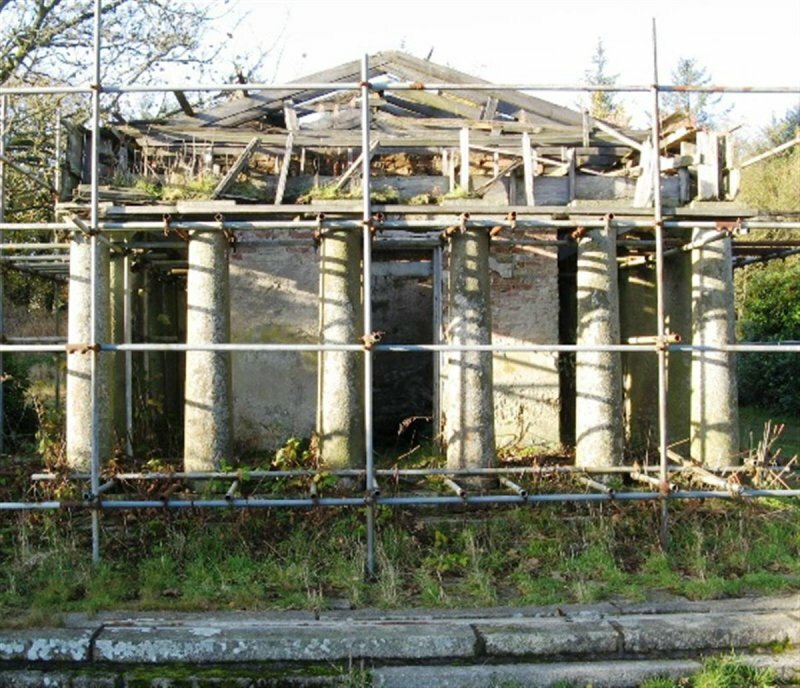 22 October 2013: External inspection finds the building continues to deteriorate and is in a near ruinous state with all exposed timbers rotting. Banff & Buchan An illustrated architectural guide McKean (1990), p90-93.